Your business marketing tactics need to focus on increasing site traffic and conversions as part of your business building strategy. To discover the most efficient ways to do this, you may need to test assorted campaigns and programs to understand what provides the biggest return. Whether you decide to use search engine optimization, pay per click advertising, offline marketing to increase your traffic, or a combination, you will need to test and measure every step of the process. Typically the customers of different businesses may respond to your messages and methods differently, but you can continuously test all of them to locate your most profitable spot. 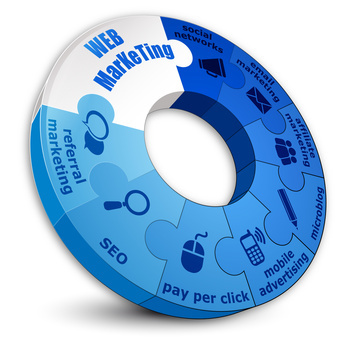 The best online marketing programs for one business may not provide any impact for another. As you examine different business marketing tips, it helps to audit your existing professional marketing services. Depending on your existing services, it may be enough to diversify with the same message. Find what works in your current business efforts and see how you can increase the effectiveness. Then, once you have dialed in the best of your current activities, see how you can adapt it to another method or campaign. Articles and blog posts that are part of your SEO campaign can be incorporated into an opt in email campaign for your prospects. Online marketing experts tend to preach the benefits of engaging prospects and customers in a drip marketing campaign where you send them communications on an ongoing basis until they request that you stop. Another way to increase your conversions is to better target your communications by niche. If you have a client list, you can begin to break it down by frequency of purchase. Those that purchase frequently should get a different message and sales opportunities than those that purchase more infrequently. Also, you should send a different message to those that you are trying to reactivate.